Hi RefToken community and welcome to our September 2018 update. This month has been very busy, both for our development team and growing our client network. Development of our platform is progressing well. We have implemented fiat payments successfully on our platform, and we are now working on integrating BTC payments for affiliates. Our development is now focused on the inner workings of the RefToken platform - specifically where affiliates and merchants ‘meet’ and sign up for deals together. This is the core technology which will make our platform so revolutionary to the affiliate space, as merchants and affiliates can agree terms on our platform using smart contracts, without ever involving a third party. Jan Sammut has been taking RefToken to huge audiences this month, generating valuable exposure for RefToken and reaffirming Jan’s role as one of the industry leaders in the affiliate blockchain industry. 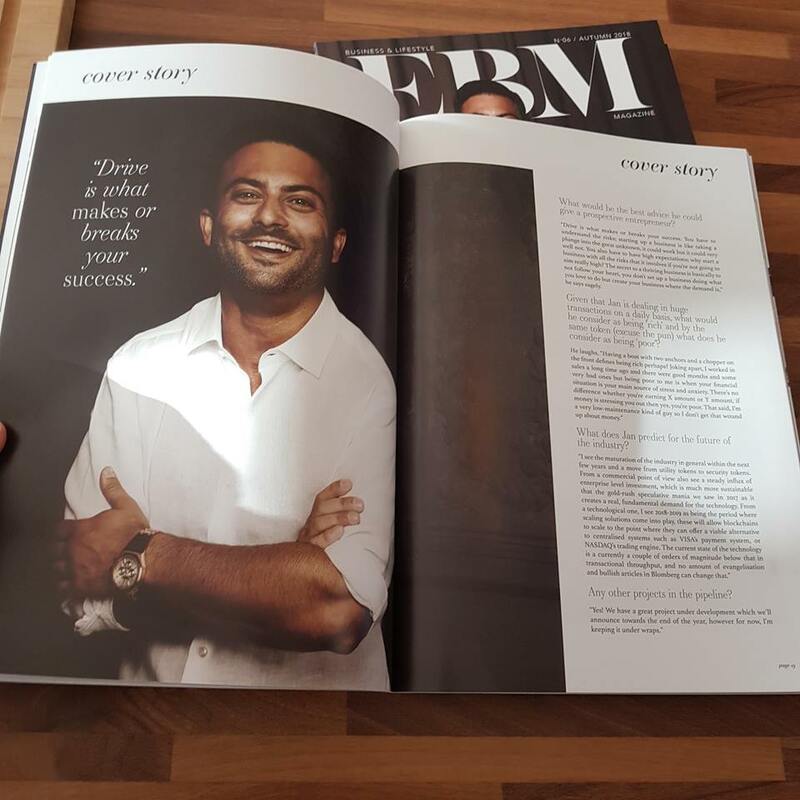 Gracing the cover of the sixth issue of EBM magazine, Malta’s premier lifestyle and professional publication for the iGaming community; Jan talked at length about ICO tokenomics, RefToken’s role as the first ICO in Malta, and the future of blockchain. Jan’s eight page spread is well worth a read, and is sure to have reached a large audience in the Maltese blockchain hub. Likewise this month, Jan featured on the popular podcast ‘Becky’s Affiliated’, hosted on the industry leading CalvinAyre news website, a news site dedicated to casino, cryptocurrency, gambling and sports betting news. Jan gave a detailed breakdown of the game-changing solution RefToken offers for affiliate marketing, alleviating specific pain points current professionals in the affiliate industry frequently encounter. Chief among these is instant conversion payments and transparency for both affiliates and merchants using the proprietary technology RefToken offers, through its use of smart contracts on the Ethereum blockchain. Jan’s talk is a great summary of the problem and the solution RefToken offers for the affiliate marketing industry, and we will be releasing Jans talk on our social media channels soon - stay tuned. There’s more coming up too. Jan will be speaking at Delta Summit 3rd - 4th of October 2018 - the official Blockchain and digital innovation event of Malta, officially sponsored by Bloomberg Media Group. Jan will be speaking alongside other industry leaders including Tim Draper, Changpeng Zhao (CZ Binance), Dr. Joseph Muscat and Dr. Larry Sanger, to name a few. No doubt there will be some interesting discussions and great opportunities for networking at this event! Finally, at the end of the month, Jan will be attending the Blockchain & Bitcoin Conference Malta, October 23rd. Jan will be giving a session on performance and influencer marketing strategies for blockchain start-ups. Needless to say it’s been a very busy few months for Jan and a very busy few months for all of the RefToken team! We look forward to moving into Q4 with you and thanks once again for following all of our updates.